Check In: Between 3 p.m. & 7 p.m. or later by pre-arrangement. If you require an earlier check in please pre-arrange when booking. Deposit: One night paid in full check, or credit card. We accept Visa, M/C, A.X, & Discover. Cancellation-Refund Policy: A full refund will be given if the cancellation is made 14 days prior to scheduled check-in. Cancellations made 7-14 days prior to scheduled check-in will receive a 50% refund of the deposit. Deposits for cancellations less than 7 days prior to scheduled check-in will be forfeited. 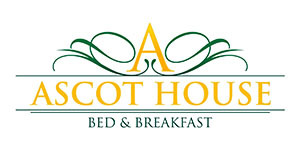 Smoking: Ascot House is a non-smoking facility. No Vaping and no burning of any open flame. No Pets Allowed: Service animals must be licensed. Please present documentation upon arrival.